There’s a saying among comic book fans who like DC Comics. If you need someone to save the world, call Superman. If there is a mystery to be solved, call Batman. 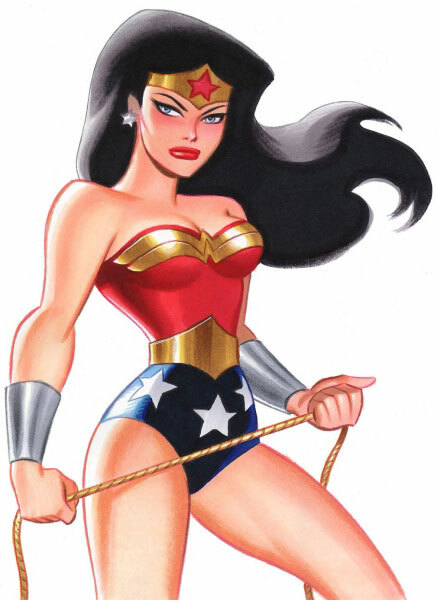 And if you need to end a war, call Wonder Woman. When it comes to religion and politics, there are always going to be factions. With persons who identify as Open Theists, things aren’t going to be any different. First of all, let me be upfront. I believe in the freedom of the Triune God who freely decides to give humanity free will so that we can have genuine relationships. I have for the most part always believed in this with the exception of the 3 or 4 years I was a 4 point Calvinist. Even when I was Calvinist, I got into arguments with liberals and evangelicals and postevangelicals IRL and online on Facebook. The worst arguments happened in Calvinist groups themselves. I couldn’t believe there were so many different varieties of Calvinism. Come on, someone claimed to be both an anabaptist and Calvinist! That was ridiculous (I thought in my mind). When I left Calvinism, it was not any of my Arminian, liberal, or emerging church friends who convinced me to eventually leave Calvinist theology. It was one of the Five Point Hardliners who sent me a 20 page paper (I kid you not) via a Facebook message explaining to me why I was not a REAL Calvinist (and therefore not a real Christian) since I didn’t affirm ALL FIVE POINTS. I was so angry, I first started re-reading the Bible without Calvinist interpretation, learning historical contexts for things like the story of Jacob and Esau. It was around that time I transitioned to identifying as an outspoken Trinitarian and Open Theist. When I first learned of Open Theism, I was unimpressed. In Baptist Theology class, the teacher abused his authority, using polemics and demonization to demonstrate his fauxgressive take on Open Theism. He would regularly cite C.S. Lewis’ The Last Battle and the story of the servant of Tash. Not. Impressed. It’s not as if the Tash story doesn’t have problems, like Orientalism, which is one of the three stools of White Supremacy’s throne. Plus, C.S. Lewis does not equal the Christian Canon or Tradition. So there was that too. It took a combination of prayerful reflection on the Scriptures, familiarizing myself with continental philosophy, as well as forging friendships with people like T.C. Moore to help me grow as an Open Theist. What other theology dared begin with Jesus’ call to repentance as the start of theological introspection? Whose the politician outside George W. Bush that actually made Jesus the number one philosopher? Much like John Howard Yoder [whose silence and embodiment of male supremacy is problematic] who is said to have brought back Jesus’ teachings as central to Christian ethics, Open theists made free will theology anew, grounded in Jesus, contemporary hermeneutics and traditional evangelical theology such as God’s triunity and the trustworthiness of Scripture. At Brite Divinity School, I could have followed suit with everyone else and hopped on the process theology bandwagon, but I chose not to. Instead, I wanted to take the risk of being different. Open Theism is some of the best that Evangelicalism has to offer. Honestly, part of my goal at trying to be the best theologian and preacher I can be, I wanted to dialogue with evangelicals, and the Openness of God movement was, and is a good way to do so. The Open Theist community has folks who are also Pentecostal, Baptist, Mennonite, heretical political libertarians, six-day Young Earth Creationists, theistic-evolutionists, inerrantists, proponents of cruciformity, Anglicans. As with any theological movement, it is going to have its various factions. Yes I [personally] believe Open Theism is necessarily Trinitarian, but I respect other’s approaches to seeing the future as partially open. This isn’t relativism or being “overwhelmed” with diversity; this is me working in the hopes of persuading others to my side. That side does include a commitment to traditional creedal Christianity, Charismatic traditions, and open theology, much like Tom Belt offers. One caveat. A unified voice for renewal must not be hegemonic, and it must match the gender inclusive vision of Pentecost, women and men preaching the Good News. Any renewal movement must also look to pay attention to the margins. Yes formally, open theism was made a systematic alternative to calvinist evangelicalism in 1994, but there have been persons who wrote and preached about God sovereignly choosing divine self-limitation and the partial openness of the future for centuries. Major J. Jones in the 1970’s (a classmate of Rev. Dr. MLK Jr.) wrote about a personal, holy Triune God and he had Openness leanings. Open Theism cannot be a Small Tent Revival kind of movement. It needs the biblical model of Pentecost if it is to open up space for a Spirit-led renewal. This entry was posted in Political Jesus and tagged free will theology, open theism, Open Theology, Openness of God, postevangelicalism, progressive evangelicals, theology, trinitarian on March 20, 2014 by Rod T.